Module 1: Backing Azure Solutions with Azure StorageThis module describes how many Azure services use the Azure Storage service as a backing store for other application solution in Azure. The module dives into critical considerations when using Azure Storage as a supplemental service for an all-up Azure solution. 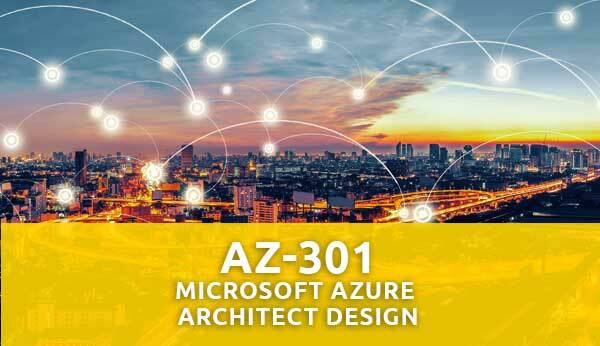 Module 1: Application Architecture Patterns in AzureThis module introduces, and reviews common Azure patterns and architectures as prescribed by the Microsoft Patterns & Practices team. Each pattern is grouped into performance, resiliency, and scalability categories and described in the context of similar patterns within the category. Module 2: Building Azure IaaS-Based Server Applications (ADSK)This module identifies workloads that are ideally deployed using Infrastructure-as-a-Service services in Azure. The module focuses on the VM Scale Sets and Virtual Machine services in Azure and how to best deploy workloads to these services using best practices and features such as Availability Sets.Lab : Building Azure IaaS-Based Server Applications.